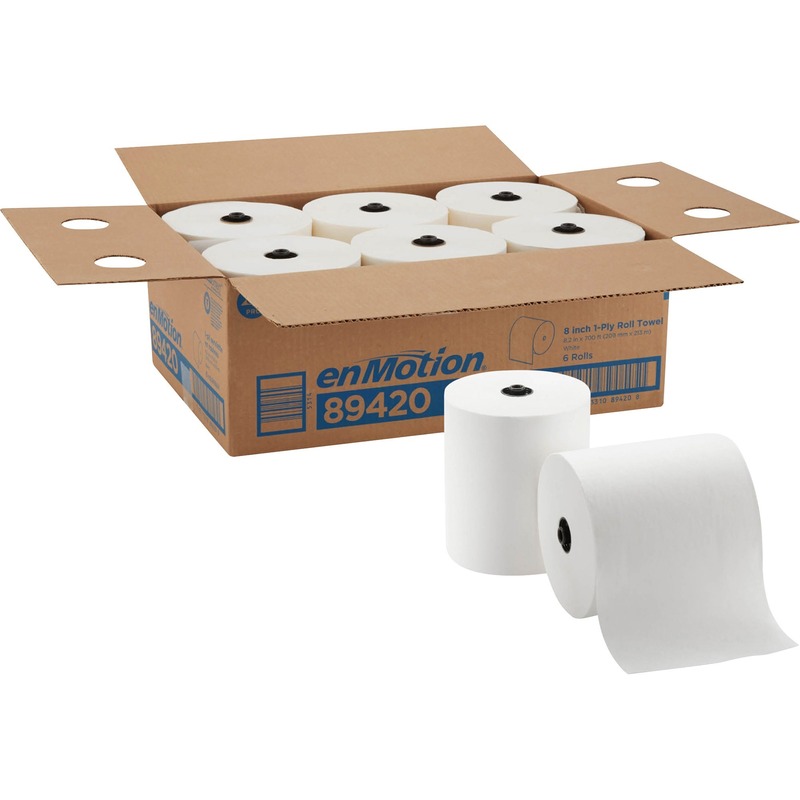 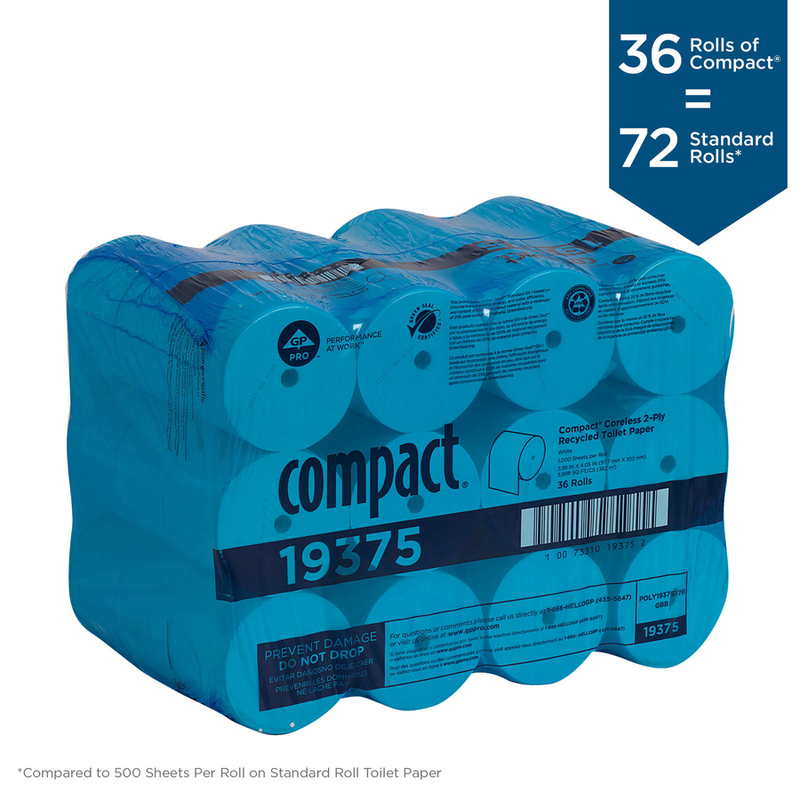 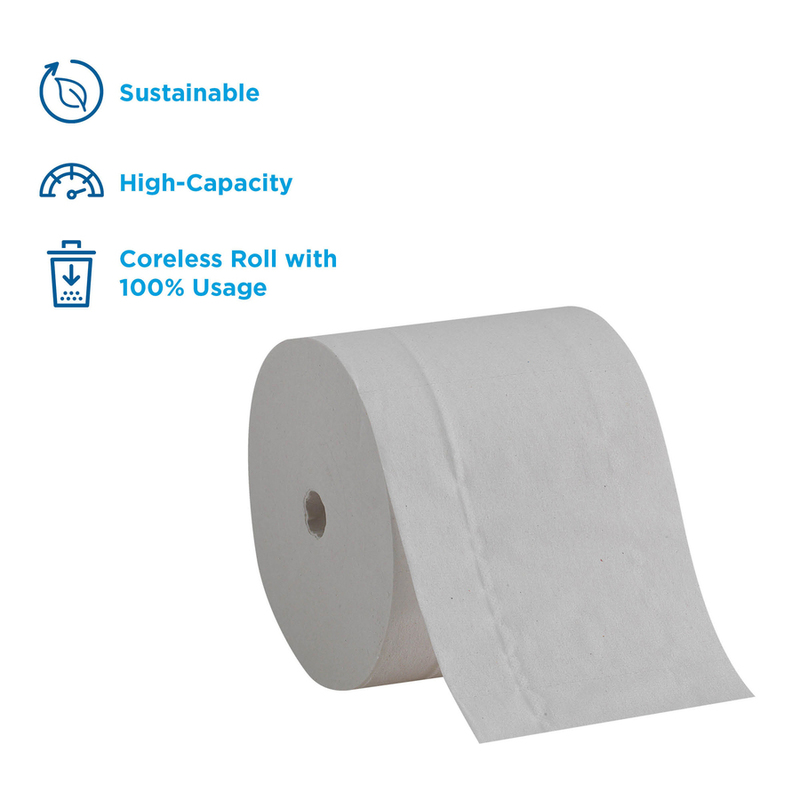 High-capacity EcoLogo coreless rolls decrease service intervals, reduce the risk of runout, have 95 percent less packaging waste, and require half the storage space as compared to GP standard bathroom tissue. 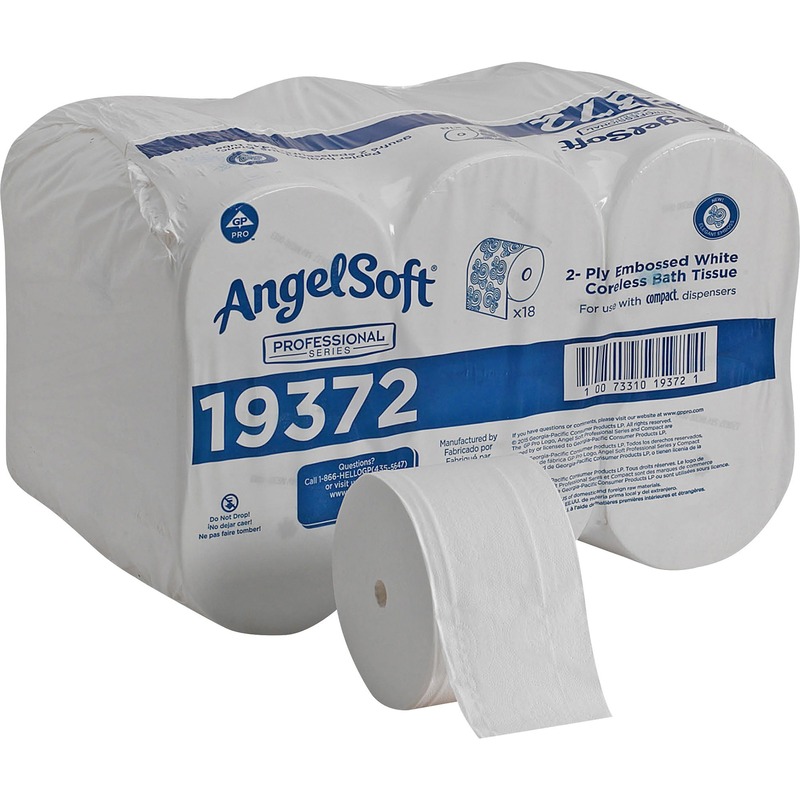 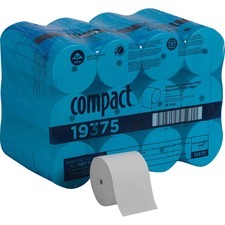 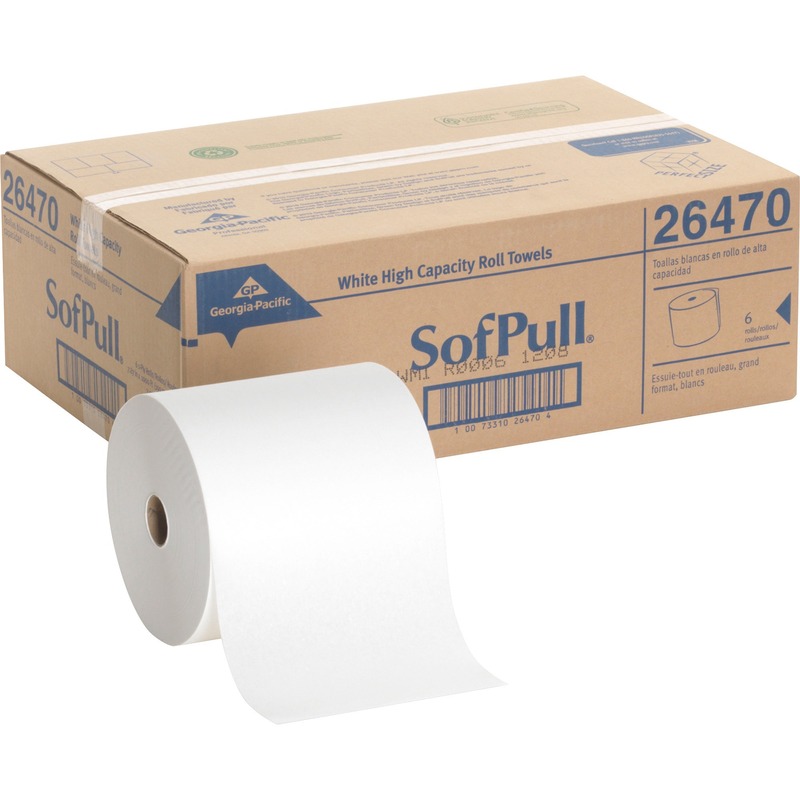 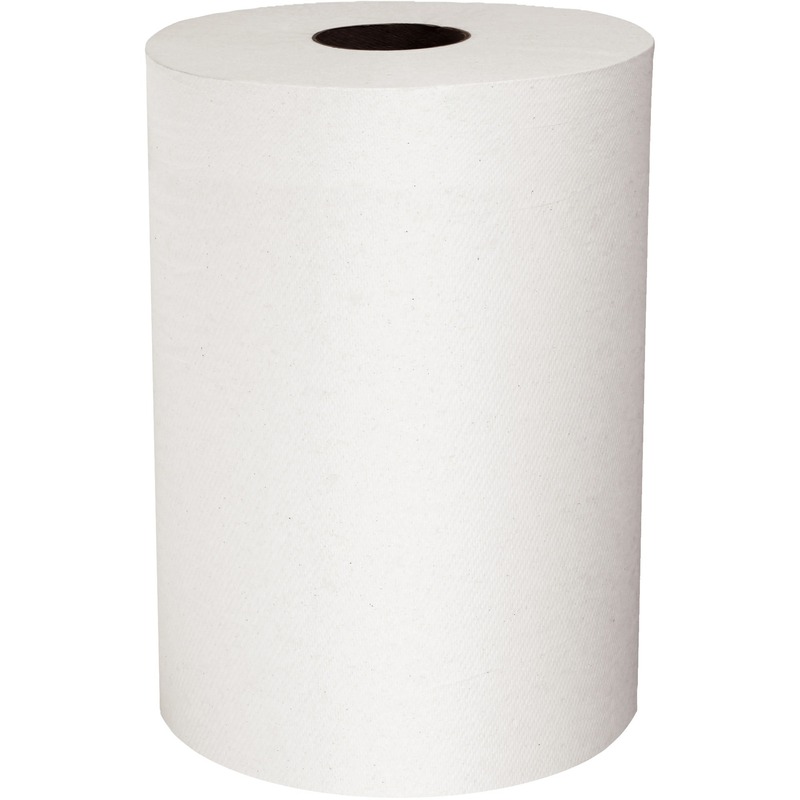 Compact Coreless 2-Ply Toilet Paper is specifically designed to increase capacity. 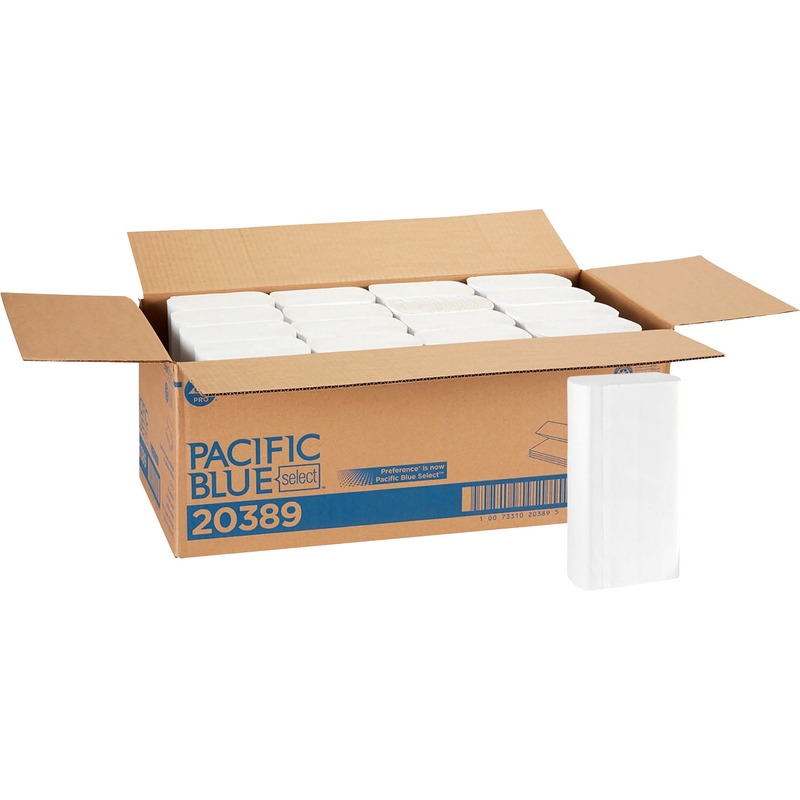 It uses less packaging by eliminating cardboard cores, inner wraps and other corrugated materials. 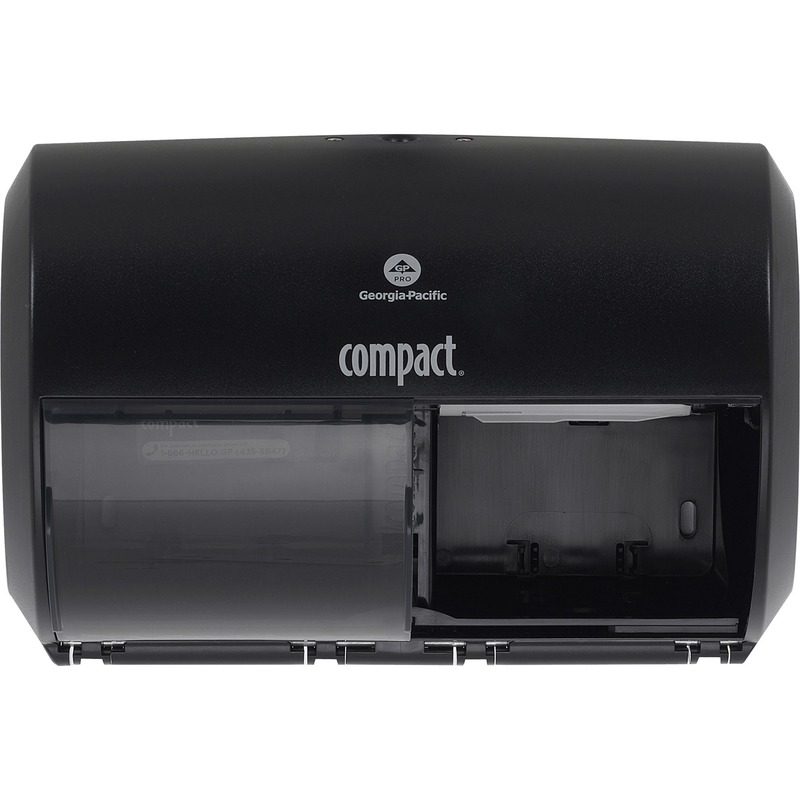 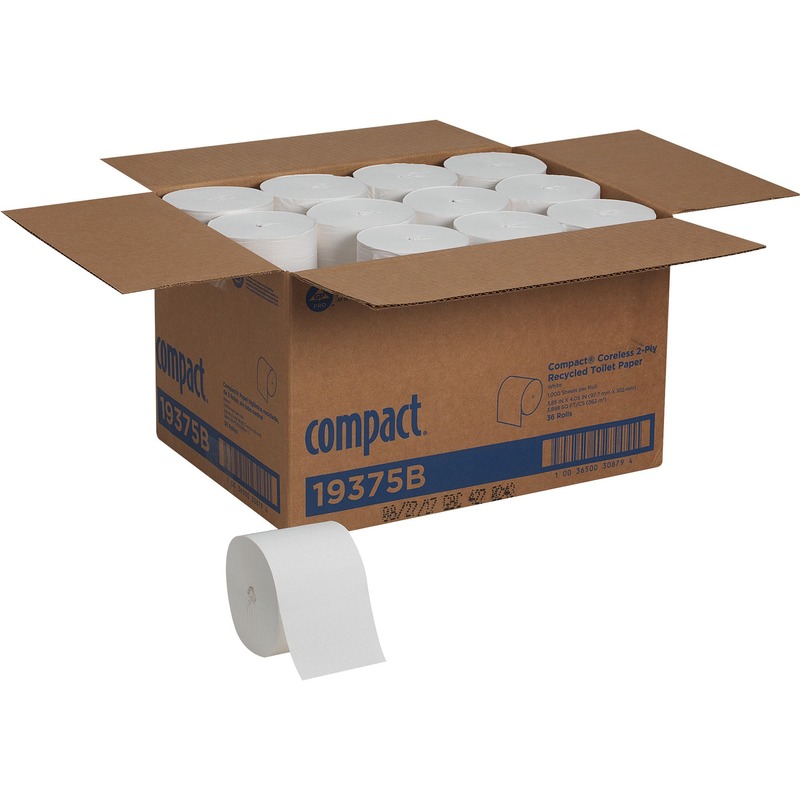 Compact allows you to convert existing dispensers with the use of specially designed dispenser spindles. 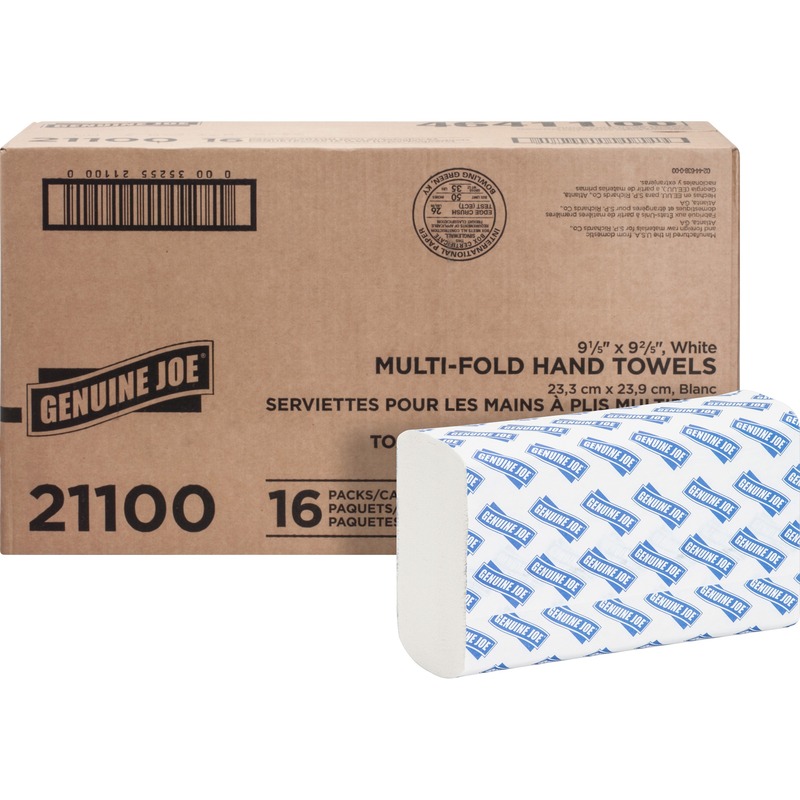 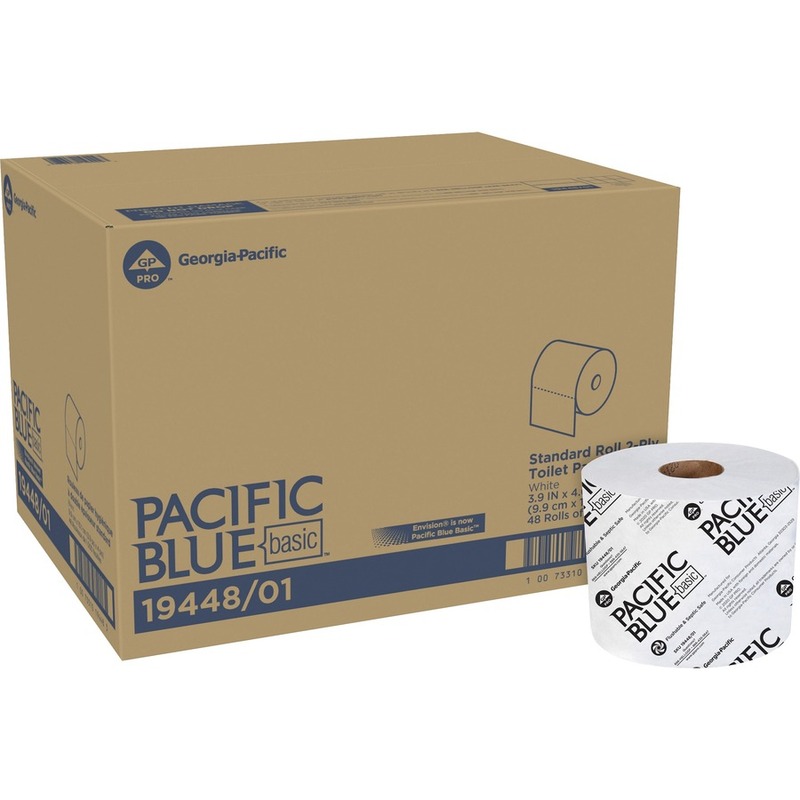 Bathroom tissue is specifically designed to fit into Georgia Pacific Compact Tissue Dispensers. 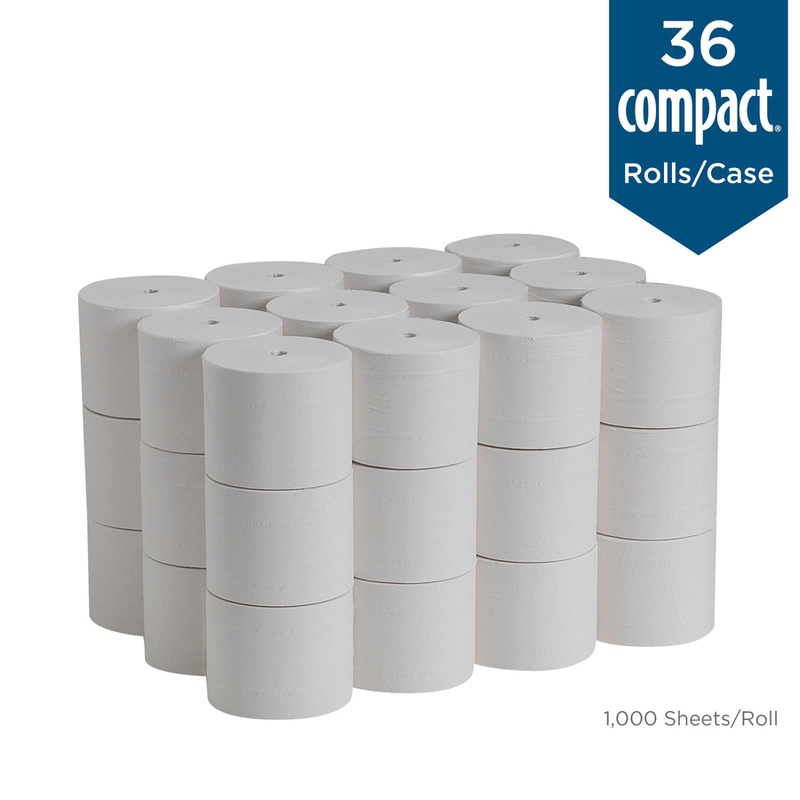 Full Size 4.05" x 3.85"